I am not particularly interested in military history. Some of you may remember my feelings towards Vicksburg. But I know the Civil War had a huge impact on this country and that lots of people love battlefields. So I wanted to give it another try. Actually, I gave it two more tries: Manassas and Gettysburg. There were two battles at Manassas, also known as the Battles of Bull Run because of the nearby creek of the same name. 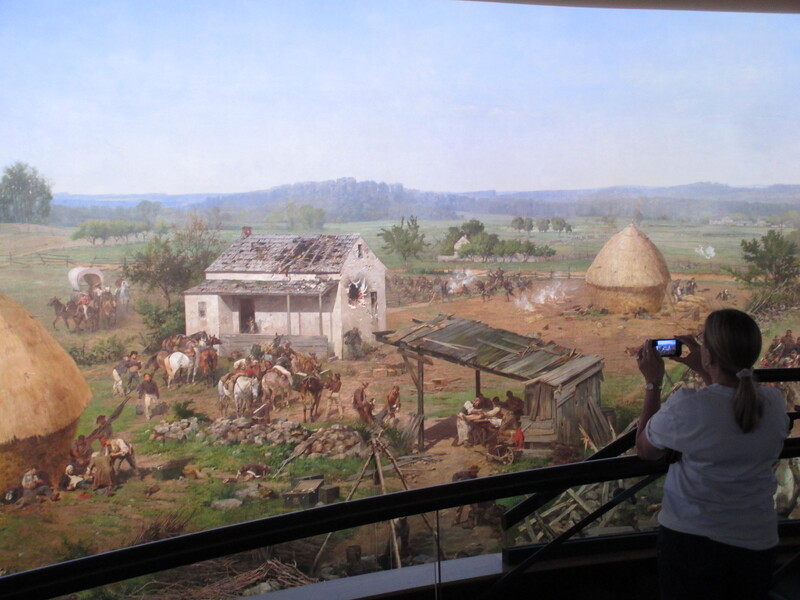 I arrived at the Manassas Visitor’s Center first thing in the morning to watch the introductory film. The First Battle of Bull Run was the first major land battle of the war, and some of the facts from the film were vaguely familiar. I remembered the story from my history class about picnickers from Washington D.C. making the trip over to watch the battle from a nearby hill. Many Northerners thought the war would end that very day. In another room of the Visitor’s Center there was a large, round map full of tiny lights. Any visitor could push the start button and an audio recording would begin to play. The recording recited the timeline of the battle while the lights on the map directed your eye to the appropriate locations. It was actually pretty cool. Of course, I always think maps are cool. Unfortunately I couldn’t muster the same excitement about the battle. “War is Dumb.” Those are the exact words I wrote at the beginning of my notes for the day. War is dumb. I just don’t understand it. I don’t get how individual men think to themselves, “Yes, I’m going to stand directly in front of a fatal shot because I’m sure the politicians did all they could to resolve this without requiring my death.” I understand fervor and passion, but at the end of the day, when you’re guarding your own wounded enemy, doesn’t it all seem a little foolish? 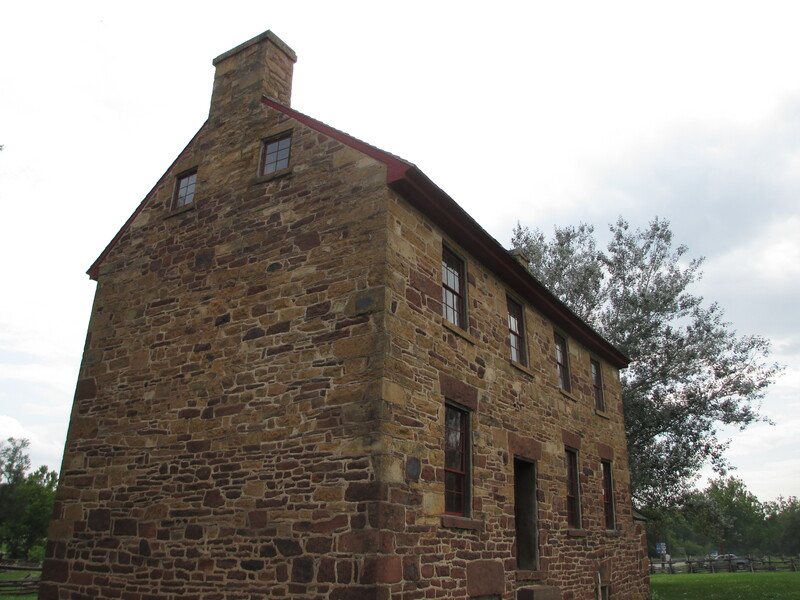 Near the center of the memorial park is an old stone house that was used as a Union field hospital during both battles. I drove over to it and took a look at the refurbished inside. I did my best to picture wounded men running through the doors in the heart of battle. It was no use. There was nothing for me here. I resolved to stick it through to Gettysburg. If I wasn’t interested there, I couldn’t see how I would be interested anywhere. The Visitor’s Center at Gettysburg was packed when I arrived, and overflowing by the time I left. There were various attractions and ticket levels available to the interested public, including guided tours of the park. 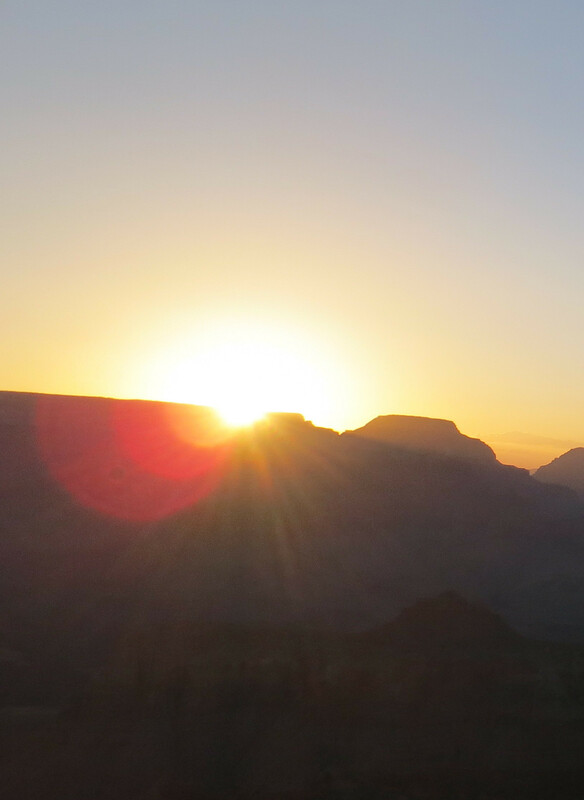 I didn’t have time for a 2-3 hour bus tour, and I wasn’t sure I’d enjoy it anyway. I opted for a ticket to the film, entrance to the cyclorama, and the optional museum visit. Gettysburg National Military Park is very proud to have Morgan Freeman narrating their documentary film. Really proud. His name is on everything. The film itself is great and gives a nice history of the events before and after the battle. But the real fun starts when the show is over, and the doors open to lead you into the Cyclorama. At the top of a flight of stairs you walk out onto a platform and into a large, round, windowless room. It’s a bit like a planetarium, but rather than stars above you, there is battle around you. Seamlessly lining the room is a single, solid, gigantic painting of the Battle of Gettysburg, based on actual events that happened that day. A recording plays and timed lights cause certain sections to glow, a bit like the map at Manassas. In one area you see men charging across the field, in another there are wounded soldiers lying on the ground. In one dark corner is the figure of the original artist himself, who couldn’t resist giving himself a cameo. After the recording is over you’re free to walk along the platform, looking at the individual features. It’s like staring at an old Where’s Waldo book. The more you look the more tiny dramas you find. 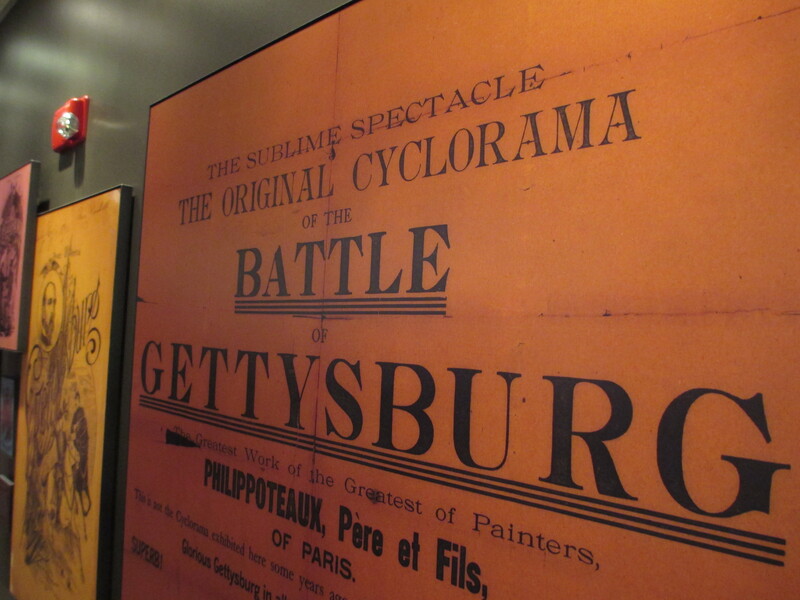 I don’t think I would have found the Gettysburg Cyclorama nearly as interesting if I didn’t know it was over 120 years old. It was first created in 1883 by French painter Paul Philippoteaux, and versions of it were exhibited in various parts of the country for many years. It’s so large and connects to itself so cleanly, it’s a wonder how they managed to transport it in the late 1880s without completely destroying the work. I’m sure the piece at Gettysburg has been thoroughly restored, but moving such a painting would be a Herculean task for even the most careless of curators. There’s a self-guided audio tour of the park available to visitors, but I knew I wouldn’t be able to last through the whole thing. Instead I drove up to the cemetery to see the spot from which Abraham Lincoln gave his famous address. The cemetery itself is lovely and quiet, with iron fences and pristine white tombstones. 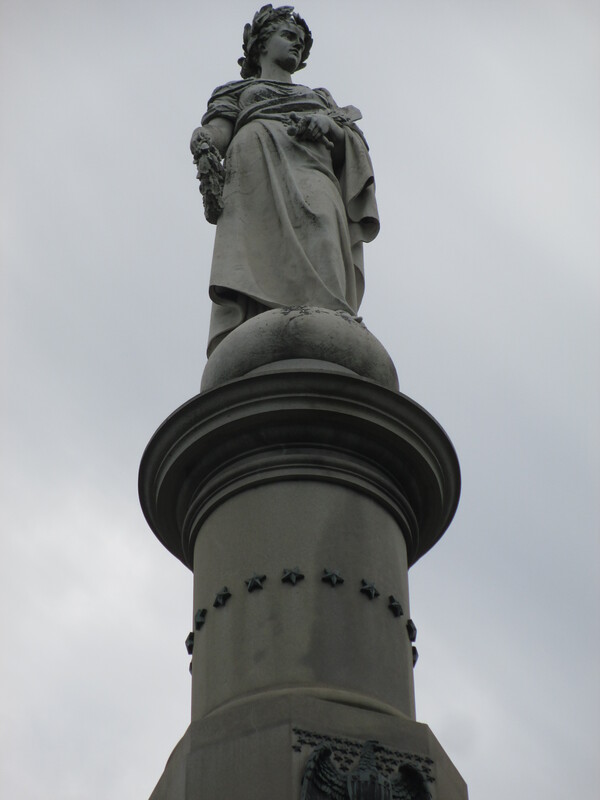 I went to the memorial marking the Gettysburg Address, which was delivered by Abraham Lincoln on November 19, 1863. The main speaker for the day had been orator Edward Everett, who talked about the battle and its remembrance for two full hours. Afterwards Lincoln stood up to give a few “Dedicatory Remarks.” By Everett’s own admission, Lincoln managed to say in ten sentences what Everett struggled to say in two hours. 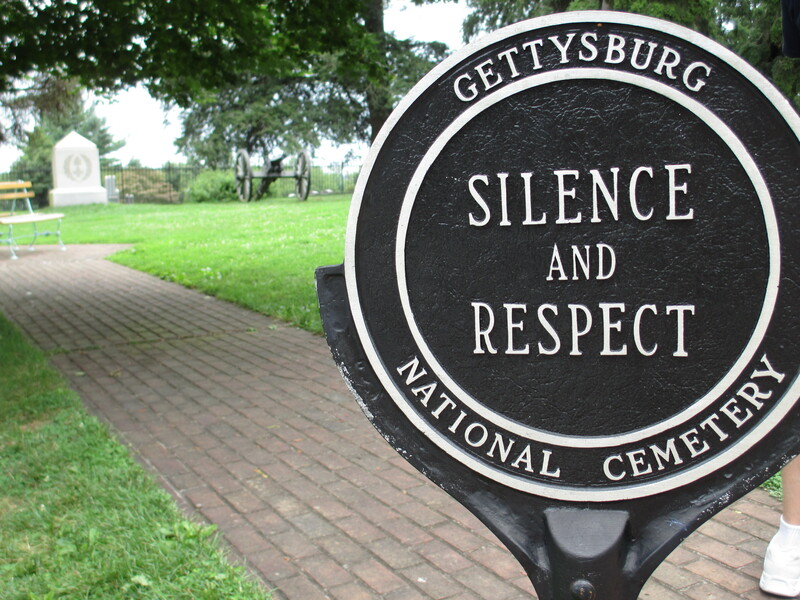 If nothing else, Gettysburg is a reminder of the importance of brevity. And with that, I left the region of the United States where we preserve blank, grassy mounds as the important battlefields of the past. 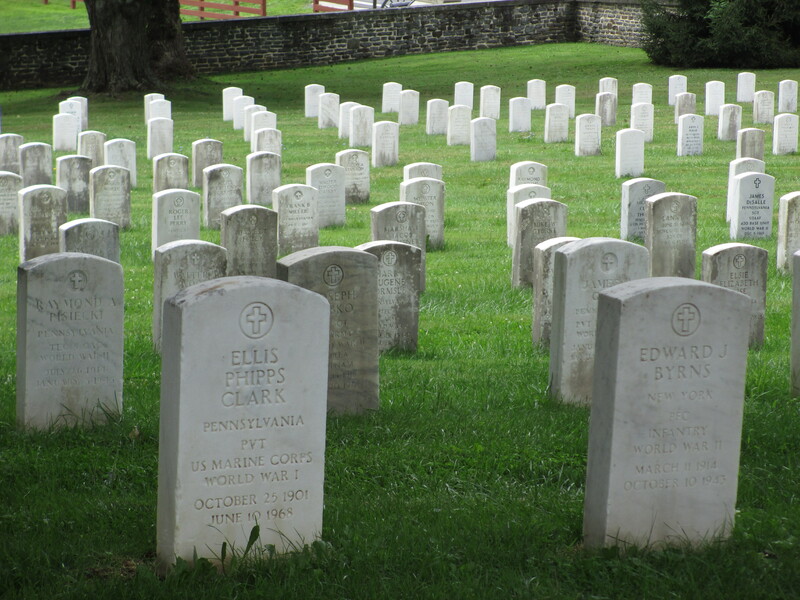 The Civil War Military Parks are, in a sense, empty memorials. We fill them full of artifacts and statues, but the true nature of each one is the vacant lot where men once died. We make diagrams and journals to help us recreate what happened, so we can look out on a field and imagine how it once was. And we have light-up maps and cycloramas to help us decipher the plans and the blunders. We work so to understand military history and military strategy. I can’t help but think that pouring so much effort into trying to re-create the past is a guarantee that we’ll keep finding reasons to repeat it. We say that repetition of the past is the destiny of those who cannot remember it. I wonder if those who are obsessed with it suffer the same fate. This entry was posted in Attractions, History and tagged Battle of Bull Run, Civil War, cyclorama, Gettysburg, Gettysburg address, history, Manassas, Military Parks. Bookmark the permalink.